The Montpellier - Novotel Suites Montpellier car park is ideally located in Montpellier city center , a 3-minute walk from the Emile Zola central media library , 7 minutes by tram from Gare Saint-Roch and 15 minutes by public shuttle (Shuttle 120). the Montpellier Airport. Warning : The access ramps of the car park are narrow, we do not recommend it for 4X4 vehicles, Sedans and Monospaces. This car park is provided by our partner Novotel Suites Montpellier . The hotel is a 3-minute walk from the No. 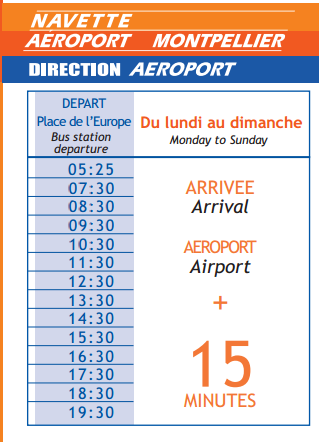 120 shuttle bus, which runs from the airport in 15 minutes every hour between 05.25 and 19.30. The bus stop is Place de l'Europe. When you arrive at the car park, give your Onepark booking number to the car park intercom so that you can open the gate. Then go to the reception with your Onepark confirmation email. To exit the car park, go to the reception with your email confirmation (on Phone or printed) before leaving the car park to announce your departure. The barrier will open automatically when you exit. In the case of an overrun, you will have to pay directly to the car park according to the current hourly rate of the hotel car park. Accueil parfait, facile d’accès, proche du tram donc de la gare, a conseiller. Facile d'accès, accueil sympathique par le personnel de l’hôtel (qui a simplement mis un peu de temps à retrouver ma réservation, heureusement que j'avais l'email de confirmation sur mon smartphone.). Solution très pratique, je recommencerai.